When we debuted our 2-bottle “Tilt ‘N Tow” O2/N2 service cart, it was an instant hit. 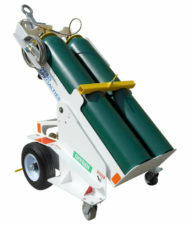 The tilting bottle holders allowed for easy bottle loading, aircraft servicing, and maneuvering of the cart (either by hand or towed). The 2-bottle tilting cart has now been “supercharged!” Presenting the AERO Specialties 4-Bottle tilting oxygen remote servicing cart. 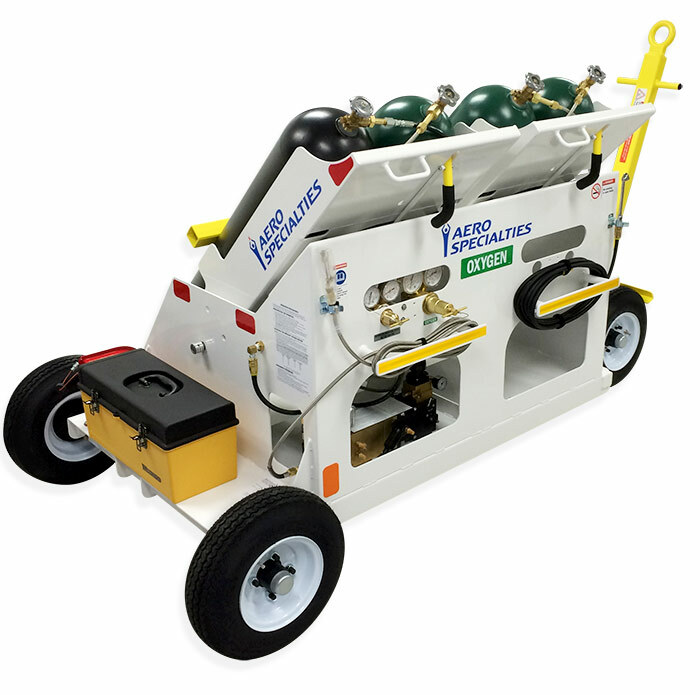 This cart is a heavy-duty option for servicing of aircraft O2 systems. 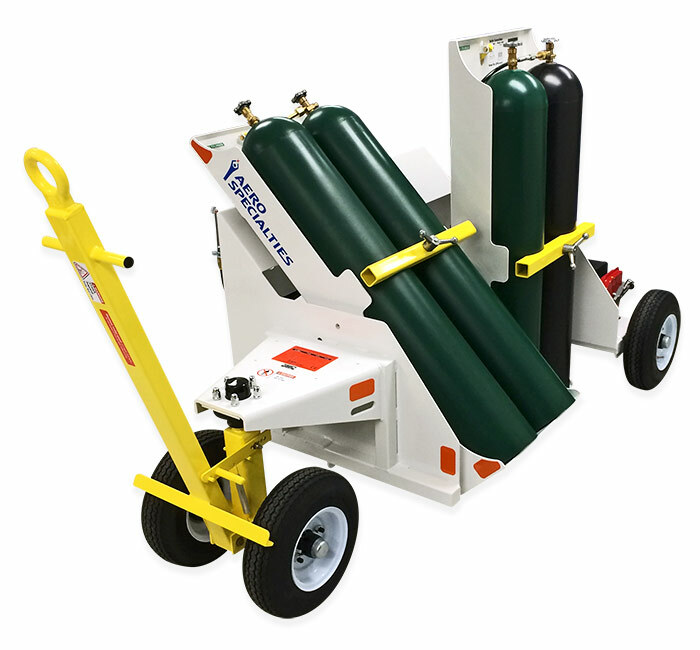 With available options, the 4-bottle tilting cart can be configured to fit your specific aircraft servicing needs. 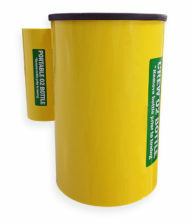 Featuring a nitrogen bottle to drive the O2 booster, remote oxygen carts are intended for use in the field when shop air is not available. 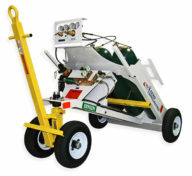 This cart also includes an onboard toolbox and static grounding reel.